Having extra monitoring and on-hand expertise means that you can work out effectively, get the intensity and movement correct and try new exercises progressively and safely. Its not easy to find the time to exercise in a busy schedule, so making sure you use your time wisely is essential. Your personal trainer will work out challenges with you and adapt your challenges as you improve, keeping you on track and focused. Have tried gym memberships before and felt that they haven’t seen results. People who just love the water! Can I choose my trainer? Both male and female instructors are available for one-on-one personal training. You can select someone you already know, whose personality and experience suits you. Alternatively we can make a selection based on your available days and time. When it comes to getting results, all trainers work within your needs to maximise your work outs. All trainers work with exercise beginners through to advanced. Who’s part of the Healthways team of trainers? 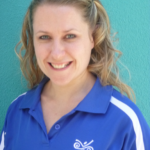 Imke Calleja – is a qualified and experienced Fitness Instructor, Group Fitness Instructor and Personal Trainer. She has been a Personal Trainer for the last 8 years. 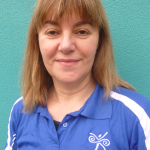 As an ex-nurse Imke loves to help people to improve their health (mentally and physically) . 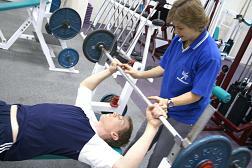 She specialises in rehabilitation in all age groups. which means very individual workouts for functional movements, strengthening, increase balance and improving wellbeing in general. Imke is an easy go lucky person, who has always a smile on her face, she is passionate about healthy eating and keeping fit. 2 years ago she started doing karate and she integrates it in her group exercise classes. She always attend the annual PT conference FILEX to keep up to date . Victoria Gym Instructor and Personal Trainer of the Year 2013 awards. She is also a qualified Pilates mat, Yogafit and TRX suspension training instructor. Kalinder Kaur – is a qualified and experienced Fitness Instructor, Group Fitness Instructor, Personal Trainer and Ultra Lite weight management consultant. With 15 years of martial arts experience and as a 2nd Dan Black Belt in Goju Karate and specialising in Karate sports coaching. She has been teaching/training student for numerous years. 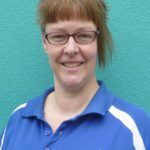 Kalinder loves working with clients of all ages, levels and abilities and as a level 1 boxing coach, Zumba instructor and with a passion for strength and conditioning, she can help you through any fitness challenge to reach your goals. 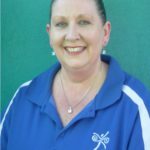 Wendy Brammer – is an experienced personal trainer having helped clients with rehabilitation and balance issues, to those requiring her creative goal setting and exercise regimes to achieve a fitness dream like performing marathons. 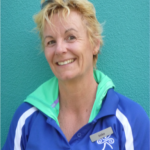 In 2008 Wendy won the Aquatics & Recreation Victoria Awards “Victorian University Group Exercise Instructor of the Year”. 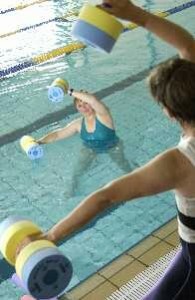 In addition, Wendy is an Accredited aquatics trainer and can uniquely prescribe water exercise programs for clients. Jeff Parker – is a qualified Fitness instructor, Personal Trainer, Group Fitness instructor and Boxing instructor. 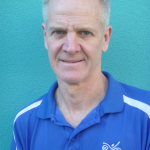 Jeff has great passion for health and fitness and experience across a wide range of sports and activities. He also has extensive experience in corporate roles specialling in leadership, mentoring, team and individual development and understands the importance of the role that health and fitness plays in delivering quality to our everyday work and personal lives. Jeff’s personal mantra is “be your best”. Jen Findlow – is a qualified and experienced Fitness Instructor, Group Fitness Instructor and Personal Trainer. She is a qualified and experienced Pilates Matwork and Reformer instructor. Jen is passionate about Pilates as a holistic exercise form bringing strength, stability, control and relaxation to body and mind. With a strong focus on exercise technique Jen incorporates Reformer Pilates exercises into client programs for overall wellbeing. Anna Hidvegi-Rabi – is a qualified and experienced Fitness Instructor, Group Fitness, Personal Trainer and Zumba Instructor Her professional goal is to help clients make strength training a lifelong habit. 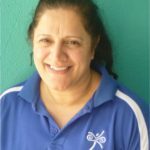 Anna holds a qualification in Presenting Community Health Education Programs and has a strong interest in nutrition, As a qualified Aqua fitness instructor she can prescribe personalised water exercise programs. She loves working with clients of all ages and helping them achieve their fitness goals. At Healthways Personal Training is affordable. At Healthways we offer half hour or hour sessions, and single sessions or session packages to fit into anyone’s budget. Choose what works best for you. Full price list below. REMEMBER: There are no gym entry fees or other hidden charges! It’s all inclusive! Gym Member Discount: One of the benefits of gym membership is discounted personal training sessions. Group Personal Training (2-4 people): Keep up your motivation and achieve your goals with a friend. Lay-by Option: You can lay-by personal training packs. Simply pay a minimum deposit of 50% of the cost of the pack and then you have one month to pay off the balance. While you are paying off your balance you can start your road to better health and fitness. 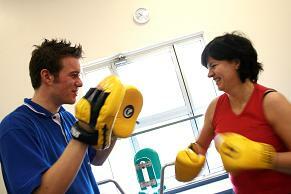 Compliment your personal training with group exercise classes or gym sessions in your own time. The key to achieving your health goals is exercising frequently, so many of our clients combine sessions with their personal trainer and visits to group exercise classes or the gym in their own time. Start by filling in your details below for an obligation free facility tour and chat with one of our trainers. For more information About the Gym CLICK HERE. 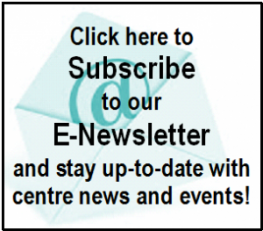 For more information on Gym memberships CLICK HERE. For more information on Group Exercise Classes CLICK HERE. For more information on Exercise Options for Teens CLICK HERE. For more information on Exercise Options for over 50’s CLICK HERE. Are you still unsure about what to do? To show you that our gym is comfortable for all – including people who have never come to a gym before – we encourage you to come in and try the facilities with a complimentary trial passes. CLICK HERE for more information.